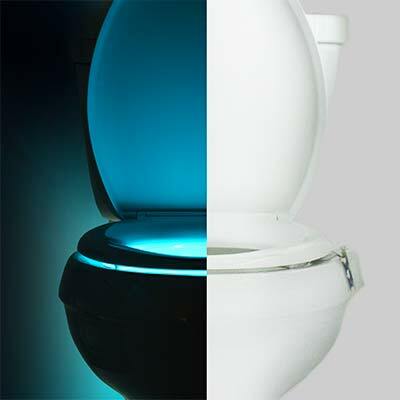 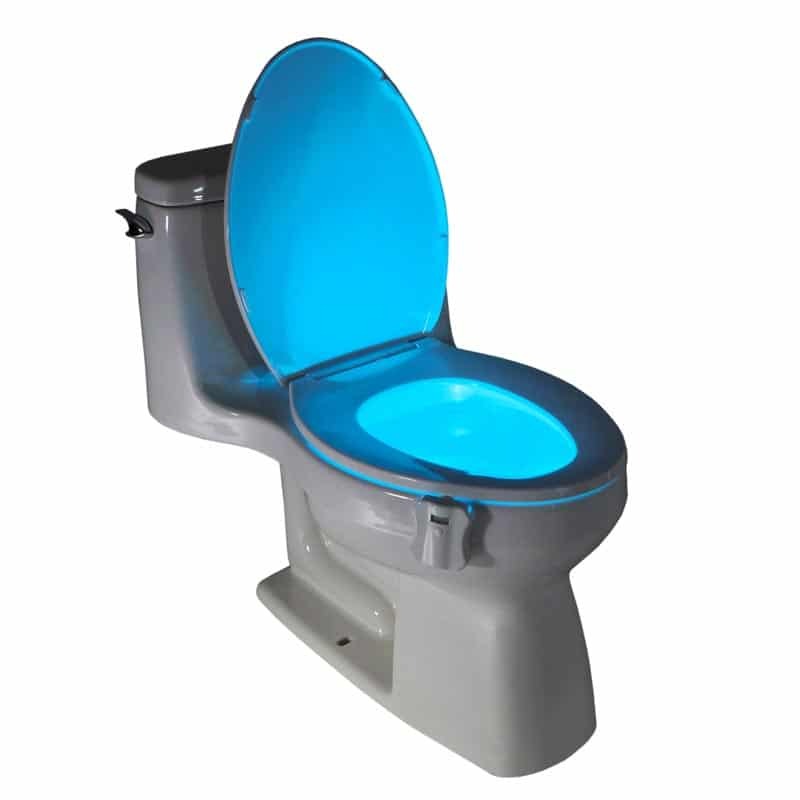 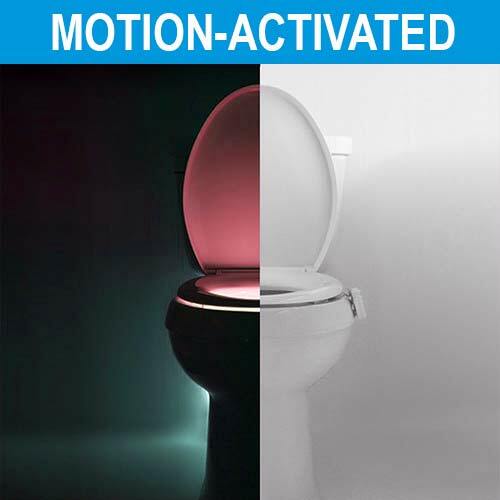 The GlowBowl IllumiBowl Toilet Night Light will transform ANY toilet into a nightlight. 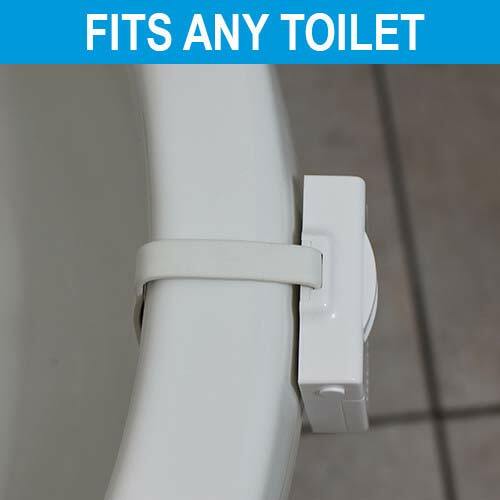 No more missing your target or stumbling around in the dark in your bathroom – The GlowBowl IllumiBowl Toilet Night Light is motion activated, light-sensitive and solves all these night time bathroom problems. 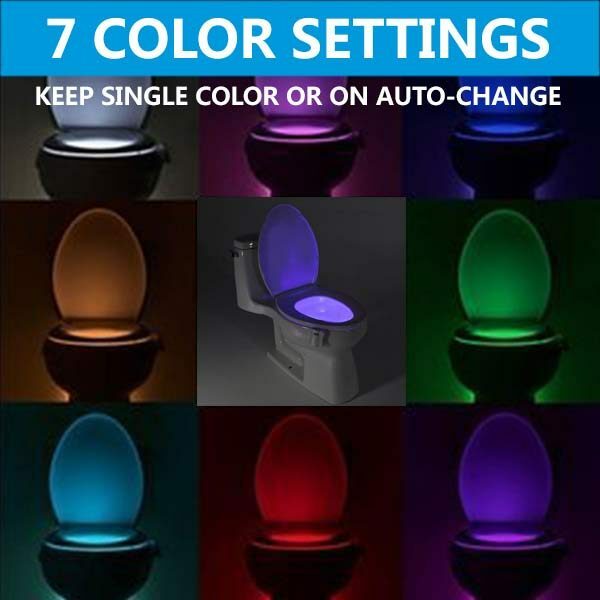 With the touch of a button, you get your choice of seven different colors in one device: blue, purple, aqua, yellow, red, white or green. 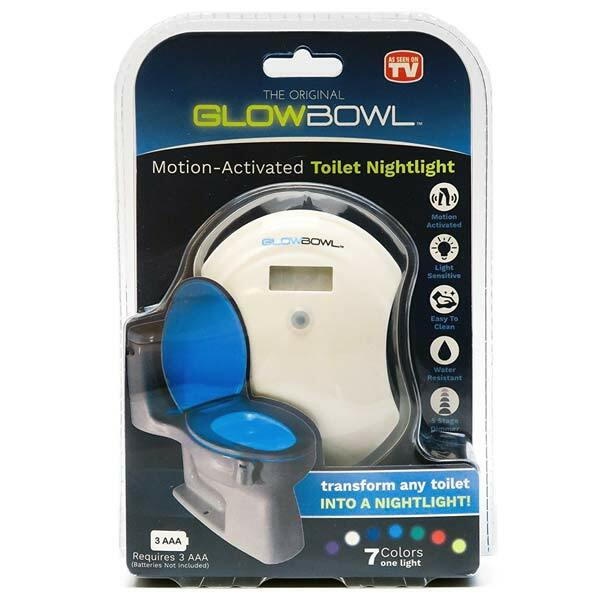 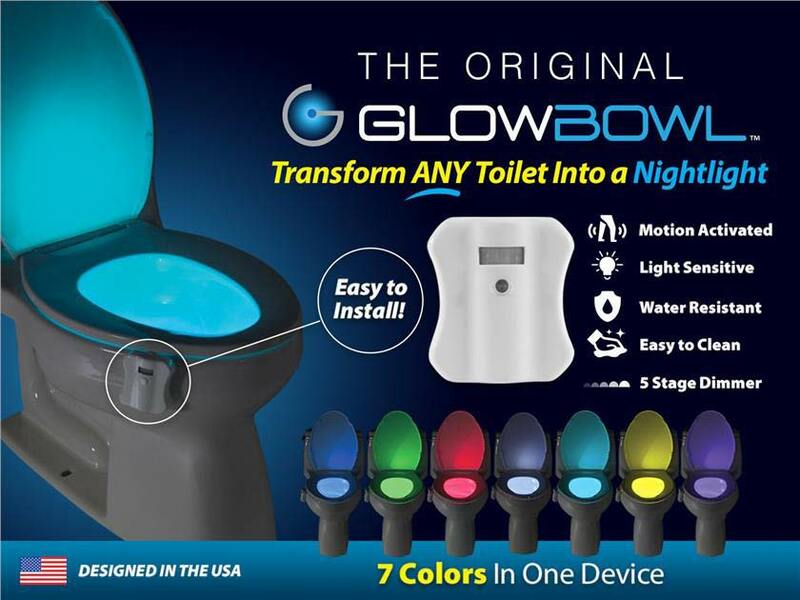 With The GlowBowl IllumiBowl Toilet Night Light, you no longer need your old fashion bathroom nightlight. 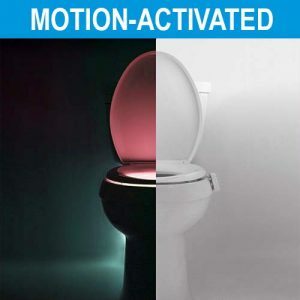 It puts the light where you need it most. 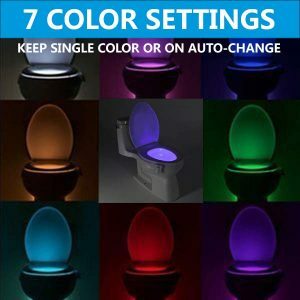 It has 5 stage dimmer feature that will allow you to further customize your experience with the brightness level you desire.